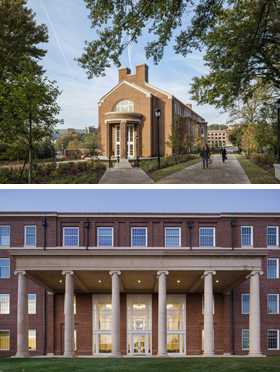 In the category of Civic Institution (Large), Robert A.M. Stern Architects received a 2016 Philip Trammell Shutze Award from the Institute of Classic Architecture & Art, Southeast Chapter, for the design of the Terry College’s Correll Hall. 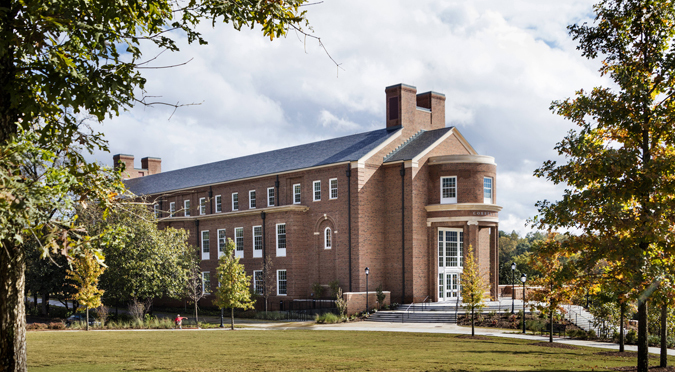 Correll Hall is the first phase of Terry’s Business Learning Community at the University of Georgia. Honored after the former CEO of Georgia-Pacific, A.D. "Pete" Correll and his wife, Ada Lee, the 75,000 square-foot building houses graduate programs, the Dean's suite, administrative offices, and a 2-story study lounge. Correll Hall and the future phases, the new home for the Terry College of Business, occupy a prominent location at the corner of Lumpkin Street and Baxter Street.